Sarah Hall has been hailed as "one of the most significant and exciting of Britain's young novelists" (The Guardian). Now, in this collection of short fiction published in England to phenomenal praise, she has created a work at once provocative and mesmerizing. 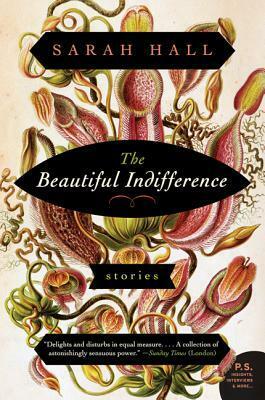 ‘A Beautiful Indifference’ is a collection of seven short stories that had been previously published in various forms and have been honored for awards on their own. The first story, ‘Butcher’s Perfume’ was shortlisted for the BBC National Short Story Award in 2010 and ‘Vuotjärvi’ was long-listed for the Sunday Times EFG Private Bank Short Story Award in 2011. I’ve only recently started reading short stories but I decided to pick this one up and was very pleased. Very raw and disconcerting stories with prose that really packs a punch and manages to leave your mind whirling. Each story is very allegorical. Lacking in a true, concrete conclusion and typically left open to interpretation, they all seem to have some deeper meaning that was unattainable for the most part for me. Despite this, these were some of the most gratifying short stories I have ever read. The writing was truly brilliant and left me always wanting more. Sarah Hall is definitely an author worth checking out. A girl haunts the edges of her parents' party; a film director drops dead, leaving his film unfinished and releasing his wife to a new life; an eighteen-year-old insists on marrying her music professor, then finds herself shut out from his secrets; three friends who were intimate as teenagers meet up again after the death of the women who brought them together. Ranging widely across generations and classes, and evoking a world that expands beyond the pages, these are the stories of Tessa Hadley's astonishing new collection. 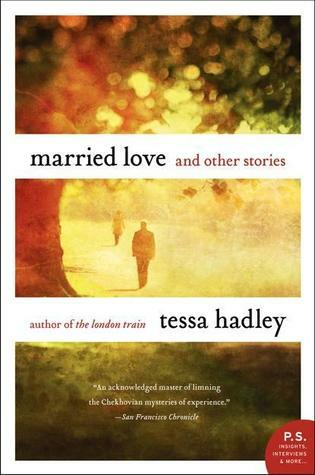 On full display are the qualities for which Tessa Hadley has long been praised: her unflinching examination of family relationships; her humor, warmth and psychological acuity; her powerful, precise and emotionally dense prose. In this collection there are domestic dramas, generational sagas, wrenching love affairs and epiphanies-captured and distilled to remarkable effect. Married Love is a collection to treasure, a masterful new work from one of today's most accomplished storytellers. Married Love: And Other Stories is a collection of short fictional contemporary stories. Married Love is not all about domestic bliss. It’s about the every day struggles that the characters encounter. Each story is a showcasing of a brief moment that manages to convey an entire life without leaving one feeling incomplete by the shortness of it. Reviewing a collection of short stories is always difficult. Do you review each one individually? Do you rate them as a whole? All in all, the characters within her stories are strongly written and despite the fact that I certainly preferred a few more than others they all managed to shine in their own way. Her writing was stately and succinct and quite enjoyable. My interest has definitely been piqued and I would love to read more from this author. This post was a part of the Married Love blog tour. Click the button below for a complete list of tour stops.